MasterCard users could soon be using their fingerprints to verify their purchases. 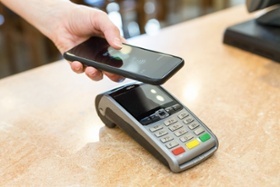 The UK and Australia outstrip the US when it comes to using contactless payments. According to latest figures released by EMVCo, around 4.8 billion cards were in circulation in 2015, up by 1.4 billion on the previous year. MasterCard has lifted the lid on a new program designed to expedite the certification process for merchants looking to adopt EMV. In a bid to make it more convenient for customers to process payments using new chip cards recently introduced in the US, MasterCard has launched its new M/Fast solution to help. New specification from Visa aims to improve cardholder’s experience.